So. 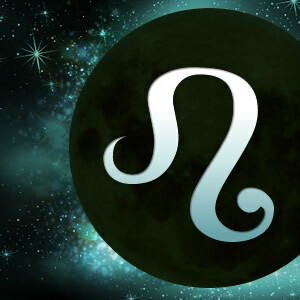 It’s a new moon in Leo. What about it? Be a larger presence in every room. Many moons ago, when I was first introduced to astrology, someone looked at my chart and said that I had Leo problems. “What the hell does that mean”, I asked her. As far as I knew, the last guy I had dated (and by dated, I mean made out with for a week) was named Isaac. “You have a problem with letting yourself take center stage”, she said. Now those who have known me long enough can confirm that though I have never been shy, I certainly have found myself being more comfortable in the background. Well, in the past at least. Nowadays, I still have some trouble leading with confidence, but I certainly do enjoy the spotlight a bit more. However, that took some work and time. See, my Leo problems stemmed from a rocky childhood that forced me toward seclusion. I grew up in the type of household where I didn’t want to be noticed, so I dug into my bedroom where my imagination and creativity could come alive. In there, I was a showman. A diva. A dancer. But outside in the world, I didn’t really want to be the one who had all eyes on me. I guess in some way, I didn’t think that I deserved the attention, so I didn’t strive to attain it. So at age 23, when a woman I barely knew said that I needed to get comfortable being “center stage”, I listened and made it a focus to blossom in areas where I had been hiding out. I allowed myself to express my inner feelings more and made an effort to be a larger presence in every room. It was actually soon after that I started doing professional readings. And let me tell you, when you’re in charge of giving someone some serious life advice, there’s nowhere to run and nowhere to hide. The reading may be about them, but their attention is on me and I can’t be afraid. Thankfully I’m not anymore, or else I would have missed out on the opportunity to share my astrological gifts with others. It’s okay to demand the spotlight. So. 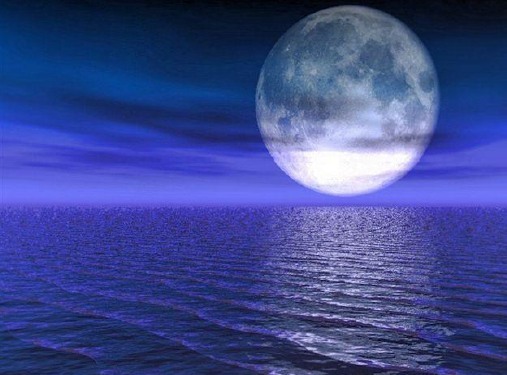 It’s a full moon in Capricorn. What about it? Let presence be life’s co-writer. I recently reconnected with one of my closest friends, a Capricorn, who for the month of June and some change was on a spiritual journey along El Camino de Santiago, a sacred pilgrimage route across Spain that has been traveled for over a thousand years by a countless number of seekers. It was so magnificent to hear his voice. Not only because I missed him, but because I took such joy in hearing the lightness and enthusiasm in his words. See, in the past, he always seemed to be troubled by something going on in his life, and this frustration or unease tended to give him a heavier presence in whatever room he was in. But now that he had created a life for himself where he could be rid of any unnecessary responsibilities that may have bogged him down before, he was free to make room for more magic and wonder. Yes, I said magic and wonder. A Capricorn. One of the more stable-headed, “I got to see it to believe it” types. I think what’s happened is that he has granted himself an adventure which has allowed him to discover a newer, more updated version of himself. He found a new narrative and let presence be life’s co-writer. For me, he embodies the lessons of this full moon. Now, that’s not to say we all need to quit our jobs, relationships, and have an Eat.Pray.Love-like adventure. But perhaps it’s time to take the lessons of the earlier Cancer new moon a bit further. Shall we? So. A new moon in Cancer. What about it? Why have I felt for these past few months like I’ve been asleep? I recently had dinner with one of my dearest friends from college, The Leo. The two of us hadn’t seen each other in far too long. I have been busy with work and being in love and she has been swamped under owning her own business and being impeccably fabulous. It was so lovely to dig into each other’s lives and do the catch-up dance, especially with someone who truly knows me and vice versa, insecurities and all. The conversation ended up being quite a bit about me and my confusion around certain areas of my life. It’s certainly nothing that a good friend and two glasses of wine can’t help. As we spoke, I found myself building to this crescendo of a statement. I said, “I just miss the guy that I used to be. The guy who had confidence and forced people to listen to him. Who felt like he had something to say and wasn’t afraid to tell everyone.” Essentially, I felt like I had lost that version of myself I knew in college who had vision and insight to share. Where was he now? Well, the Leo picked at her kale salad for a moment and then sipped from her glass of red before making a face. “But you still are that guy, Angel. He is still inside of you.” And I tried arguing a bit that yes she’s right, he is, but not in the same way, etc. But then, as I really allowed myself to stop and ponder what she was saying, I couldn’t argue. And even now, as I type this story out and reflect on myself and the days that I live, I see that she is right. In fact, this blog is a good example of that guy. Sure, I’m not staging plays in the middle of a college campus anymore, but that doesn’t mean that I don’t have opportunities in my life to utilize my powerful voice and share the wisdom I have been given. So why have I felt for these past few months like I’ve been asleep? Like the true essence of me has been on some rock in Sedona meditating while my body and mind have been sleepwalking through the motions of my existence? Well, I have an idea. And this weekend’s Cancer new moon is the perfect time to address it.